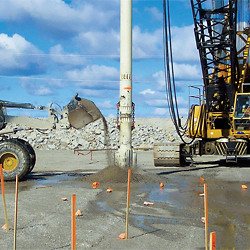 Over recent decades, there has been an increase in the number of engineering projects on thick layers of soft soil. Such a condition requires the application of soil improvement methods so as to increase bearing capacity and mitigate settlement effects. In many cases, soil improvement is a fast and economical method to achieve higher engineering standards. Qualified technical supervision and labor, along with an understanding of the interaction between subsoil and structure, enables us to attain required bearing capacity in practically all natural and artificial soils. Environmental compatibility and use of natural materials only (VF and VSC processes). Applicable in non-cohesive and slightly cohesive granular soils, such as sands and gravels, as well as slag deposits. 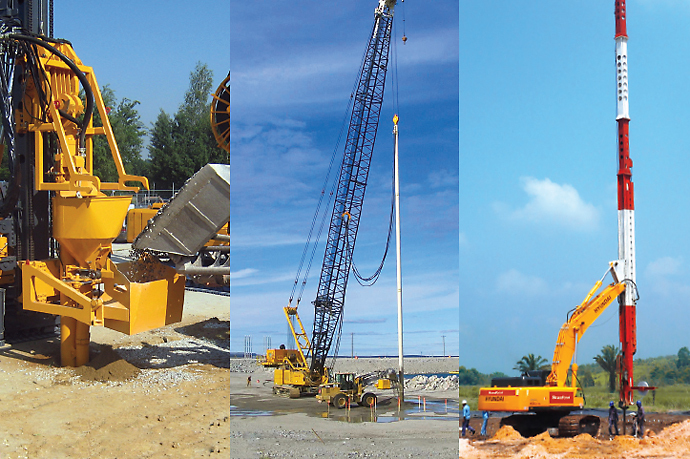 Suitable for carrying heavy loads on the improved subsoil, including dynamic loads without significant settlements. Particularly economical application in fully saturated soils below the groundwater. 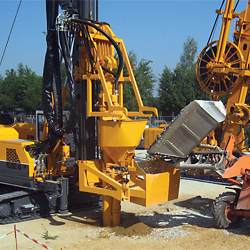 Applicable in mixed-grained or cohesive soils, such as sandy silts, to fine-grained soils with undrained shear strength values ranging from 20 to 100 kN/m2 (soft clays) due to the placement of coarse grained backfill material which form compact columns. Suitable for light to medium structural loads. Vertical geodrains or wick drains are geofiber drains used for soft clay soils with low permeability. They provide rapid elimination of pore pressure, greatly shortening pre-consolidation time and, consequently, settlement time. 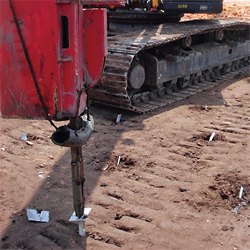 Specifications, construction sequences, electronic monitoring, choosing a technique. 1785 N. Geyers Chapel Rd.